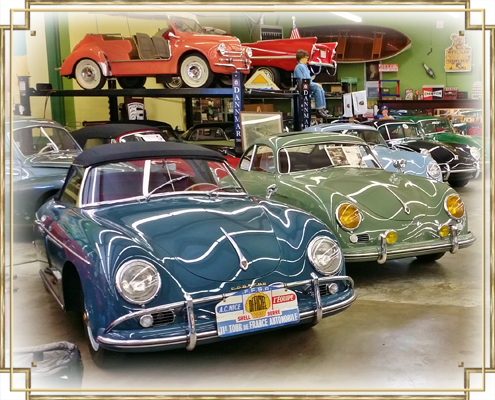 As an automotive collection grows, so does the demands of upkeep of the cars and the market. It is critical that a knowledgeable eye keeps the cars both in good repair both for the owners enjoyment, but for the life and value of the car. Proper storage, repair and upkeep are necessary to keep your investment from becoming a liability. We at Dietz MotorCraft know with breadth and depth of care each car, from the most rare, to the most common, needs and strive to make your ownership experience one of ease and enjoyment. 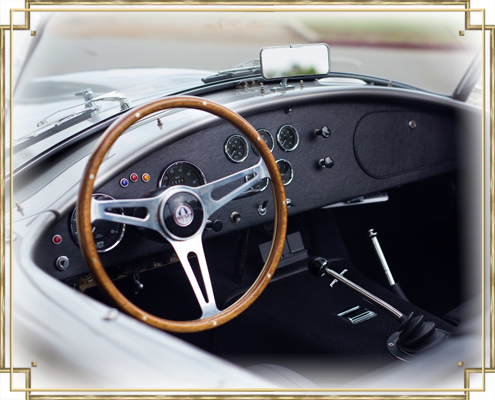 We are deeply involved in the antique, classic and specialty car market and keep watchful eye on pricing changes on cars down to the individual models. Our goal is to keep our clients informed on their investment’s value, just as financial advisor or a broker for your more traditional investments. Robert Dietz leverages his prior work as an investment banker and in financial markets to monitor market trends and keep our clients informed on their asset value, growth potential and key buy/sell times. This level of research takes enormous amounts of resources and time and we at Dietz MotorCraft take that burden off of your plate as our pleasure. Buying in the antique and classic car markets can be tricky, let us provide the insight necessary to make informed decisions. We also can manage your collection in a number of creative ways. We can provide delivery, setup and crew services for track days and shows. We can arrange shipping of your vehicle for special events and we can coordinate even the most complex schedules for rallies or grand tours. Our mission is for you to make one call to us and have you arrive and drive! Please contact us to discuss your goals! Car ownership, whether daily drivers or collectibles, is wrought with time consuming activities. If your car is broken, where do you bring it? Who can you trust to fix it? When can you find time to pick it up, drop of it off and iterate with the shop of schedules and issues? At Dietz MotorCraft, we would love to take on that roll! We do not act as a repair shop, restoration facility or a body shop. We have relationships with some of the best hands in the country in those arenas and more, who we have vetted and trust intimately with both our own cars and our clients. We have done the hard for you in finding a shop, then we take it one step further and facilitate the necessary work for you as well. Often what we find is even though we charge a small fee, we usually wind up being equal or cheaper to the price you would get had you brought the car in yourself. Why? Simple! Volume. We are able to provide many of our trustworthy shops with considerable volume every month, so that our work is discounted, which we pass along to our customers. Our concierge services can also include market advisory, buying assistance and much more. Please reach out to discuss any projects, service or any other automotive needs and we would be happy to develop a sound, quality-filled path. Pushy car salesman, shady backyard mechanics, loose paper-trails, mis-advertised cars – Who wants to deal with that? We do! 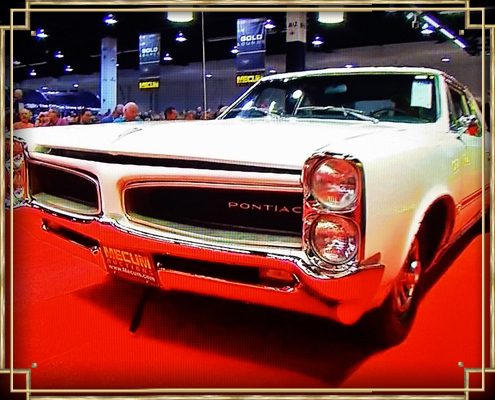 Rare classic and specialty cars, tracking down a car from your past, finding that right color combination – Who has time for that? We do! Selling your car, writing an ad, advertising, answering endless calls and emails, having total strangers show up at your house and drive your car – Who has patience for that? We do! We at Dietz MotorCraft love the car buying and selling process! Why? Because we know it so well! Helping you a buy a car for us is a treat because we are car enthusiasts and know cars. We work tightly with our clients to make sure they receive the exact car desired, not one that will not burn you. And we make the experience so that you never have to leave the comfort of your home should you choose. Finally, buy with confidence knowing you are paired with a company with your best interests aligned. We know nationally and locally what price you should be paying a car as well. We offer an experience like NO ONE else out there and our clients will tell you the same! Looking for that very specific car? Let us help you find it. When it comes to rare classic cars, they aren’t usually sitting in the classifieds waiting to bought. They take digging deep into contacts, hitting the streets and exploring leads. This can be an extraordinary time consuming effort. Let Dietz MotorCraft relieve that time demand as we search tirelessly for your new prized vehicle! Selling a car is a hassle! Who needs 20 people showing up to your house, kicking tires and lowballing you. Your time is valuable! If you show your car to even 5 people at 30 minutes each that is 2.5 hours of your time that could have been spent doing something more productive. Not to mention writing an ad, answering calls and emails which seem to come by the dozen and finding the right channels to market your sale. In all, we found people can spend 6-20+ hours of their time on a car sale, not to mention the stress and hassle! Dietz MotorCraft however lives for the sale! We work with you to get you the maximum price for your car while simultaneously prepping and presenting the car to be as good as possible to its new buyer. We want to keep the car buying and selling process clean and always seek to make fair and clear sale for both parties involved. We pickup, detail, facilitate service if necessary, professionally photograph, market, field questions, show and help complete the sale with you. Please reach out to discuss all of your many options around marketing or find your car!